Regency Homes works with an amazing Draftsman to design your one-of-a-kind home. Designing and building a custom home can be one of the most rewarding projects you’ll ever undertake. Every detail is beautifully created with YOU, the owner in mind. The first step in determining if a custom home is right for you is confirming your budget matches your ideas. Please tell us more about you and your home ideas on the form and we’ll get back to you with a budget along with some additional resources for pricing your new home!  Regency Homes has a wonderful team, we build homes with quality and pride. We would be honored to work with you and get started designing your custom one-of-a-kind home that you will never want to leave. Please provide some details below. We would love to work with you!